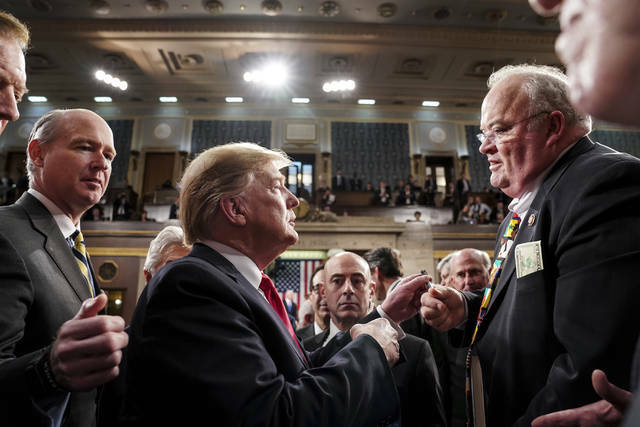 WASHINGTON (AP) — With a fierce denunciation of late-term abortions, President Donald Trump is making a move to re-energize evangelical voters whose support will be vital in heading off any possible 2020 primary challenge. Trump went after Northam — by title, not by name — in his speech and incorrectly claimed that the governor “stated he would execute a baby after birth.” As the speech was being drafted, Trump had wanted to use even harsher language about Northam, and call him out by name, but he was reined in by aides, according to three White House officials and Republicans close to the White House who spoke on condition of anonymity because they were not authorized to publicly discuss private conversations. Ralph Reed, a prominent GOP evangelical strategist, said the White House worked closely with evangelicals during the fight over Brett Kavanaugh’s Supreme Court nomination, but contact dropped off during the midterm elections and the government shutdown. The White House did not immediately reveal if it had a firm plan for federal legislation or supported an existing congressional measure, raising questions about whether Trump’s call was concrete or simply early election season rhetoric. A bill passed the House last year but died in the Senate, and prospects of similar legislation being passed by a Democratic-controlled House are remote. Still, Trump’s attention to evangelicals during one of the low points in his presidency makes sense, said Jennifer Lawless, a political science professor at the University of Virginia. “If anyone is counting on challenging him in that primary, to the extent that Trump can count on evangelicals, that makes the path that much harder,” she said. “We know that evangelicals are reliable voters, and we know that a lot of the white working-class voters who turned out for him haven’t voted in the past,” she said. According to AP VoteCast, a nationwide survey of the American electorate, 80 percent of white evangelical voters nationwide voted for Republican candidates in the 2018 midterm elections. Fully 79 percent of white evangelical midterm voters also expressed approval of Trump’s job as president. 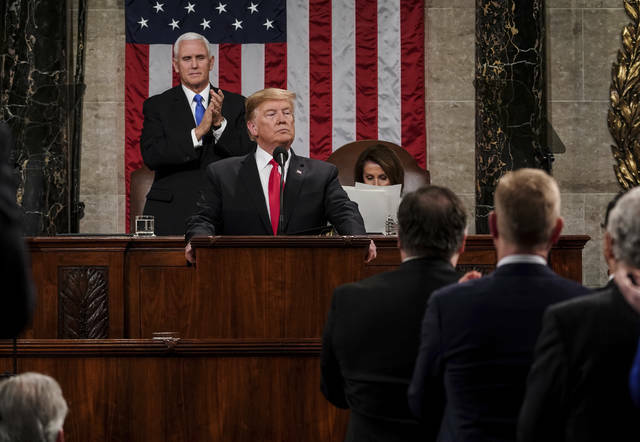 Trump went on the attack during his national address, blasting New York’s Reproductive Health Act, enacted to make sure the state would continue to ensure the right to an abortion if the Supreme Court were to overturn all or part of Roe v. Wade. In Virginia, Northam, a pediatric neurologist, told a radio interviewer last week that he supported state legislation that would allow late-term abortions and noted that the procedures were usually done if the fetus had severe deformities or wasn’t viable. Describing a hypothetical situation, he said if a woman were to desire an abortion as she’s going into labor, the baby would be “resuscitated if that’s what the mother and the family desired, and then a discussion would ensue” between doctors and the mother. Ilyse Hogue, head of the abortion-rights group NARAL, said the renewed focus on late-term abortions is a sign of Trump’s desperation. 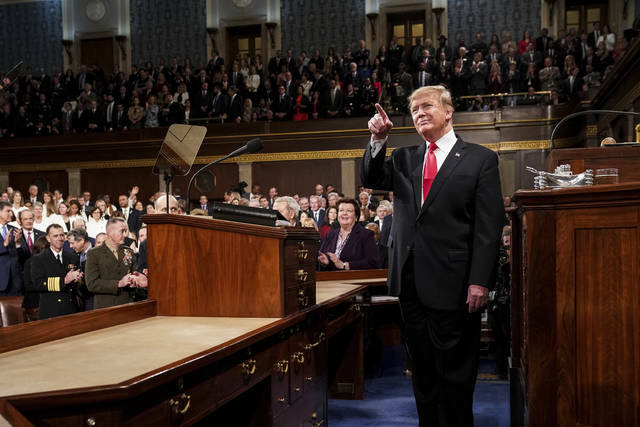 “Donald Trump’s use of the State of the Union address for little more than using real women’s lives as political red meat to rile up his base shows how politically weak he is,” Hogue said in a statement.